Join the Waiting List Don't Miss Out! Turner Classic Movies is pleased to announce that fan favorite, the TCM Classic Cruise is sailing again. Please let us know if you have any questions – we’re here to help. The FAQ section of the website is a great source for general information or feel free to contact us via email or call us 1-877-223-7030. 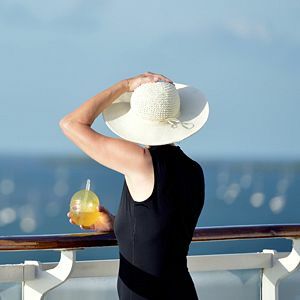 Join TCM hosts, special guests, and fellow movie lovers aboard the TCM Classic Cruise, October 22-27, 2019! We’ll set sail aboard the majestic Disney Magic for five nights – watching films on the big screen in Disney’s state-of-the-art theaters, hearing behind-the-scenes stories through interactive panels and enjoying special presentations as well as themed events—in elegant venues and beneath the stars—with fellow film fans. Disney artwork, logos and properties: © Disney. All Rights Reserved.